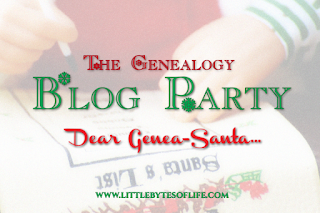 If you are not familiar with the Genealogy Blog Party, be sure to stop over to host Elizabeth O'Neal's blog Little Bytes of Life to learn more. For the December Genealogy Blog Party, the theme is to share your Christmas wish list. 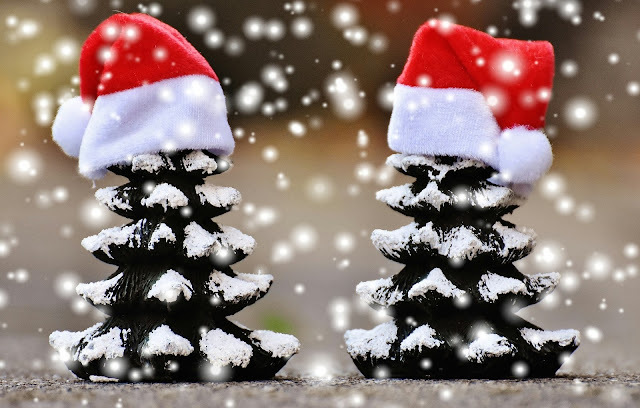 What will you ask Genea-Santa for this year? What I'd Like Most For Christmas would be able to break down a brick wall regarding one of my Sampson County, NC ancestors. Specifically, I'd like to figure out who were the parents of my paternal 2nd great grandmother Tina Jane Murphy Kerr? Do I have any theories, ideas or notions? Sure I do. What I'm working on now is ...Proof! I should however share with you a little bit of what I know thus far regarding Tina. In my post, Great Grandma's Name Was Ella. After That It Gets Complicated, I shared that I finally had discovered the name of my 2nd great grandmother despite not having much information regarding the life of her daughter Ellen "Ella" Kerr. 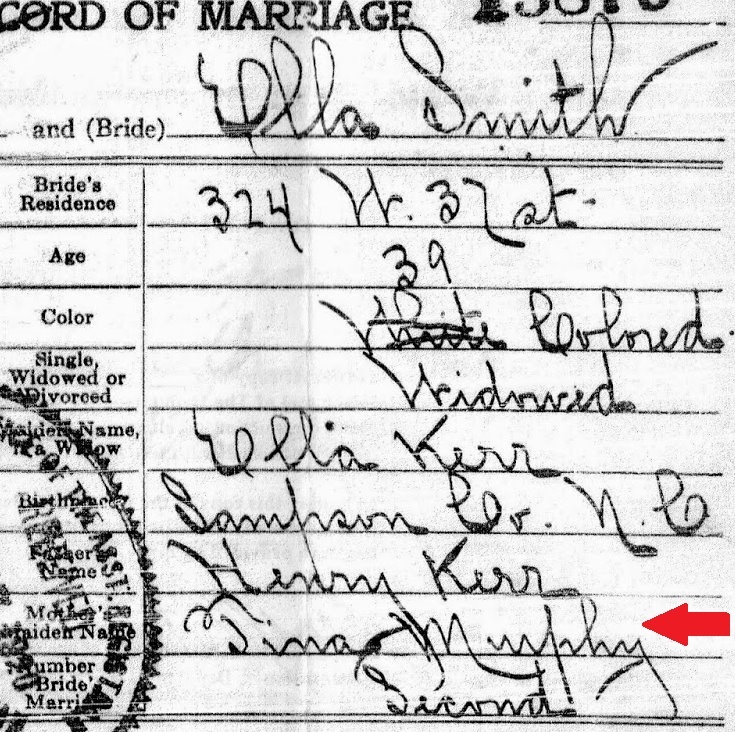 Red arrow is pointing at "Mother's Maiden Name: "Tina Murphy"
Tina Jane Murphy was born around 1852 in either Sampson County or New Hanover County, NC. She may have gone by the surname Henry as a result of a marriage or perhaps it was the name her family went by after the end of the Civil War. Check out this page from the 1870 Federal Census and you'll see what I'm talking about. At the top of the page, you'll find my 2nd great grandfather Henry Kerr and his family while at the bottom I have an arrow next to the name "Tenor Henry." This Tenor Henry was the correct age to possibly be my 2nd great grandmother Tina Jane Murphy. By 1880 Tina and Henry were married and had started a family. The couple had 5 children. Their names were Henry, Murchison, Ellen/Ella, Ida and Emma. The couple resided in Franklin Township, Sampson County, NC. Henry Kerr passed away in 1909. The last year I could find Tina Murphy Kerr listed on a census was 1920. She was residing with her son Murchison and his wife Everlenear "Evelyn" at the time. Tina is referred to as "Tenna" here. Source InformationAncestry.com. 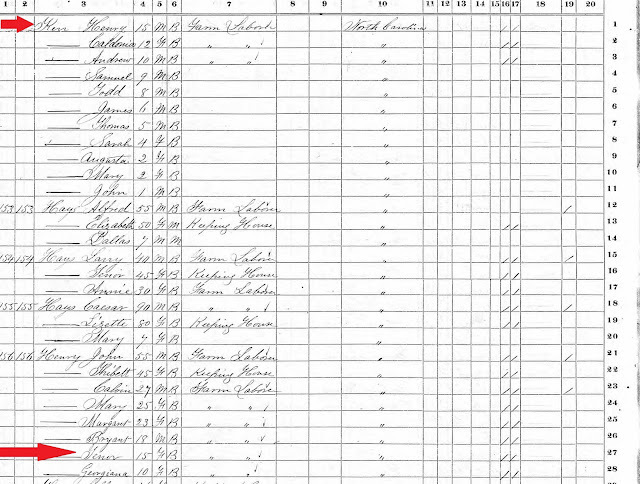 1920 United States Federal Census [database on-line]. 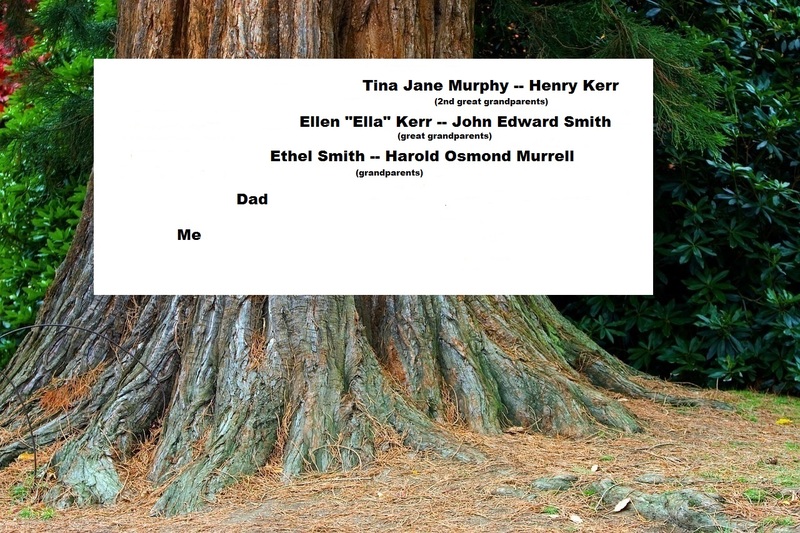 I have yet to discover a death certificate for my 2nd great grandmother, so the names of Tina Jane Murphy Kerr's parents continue to elude me. Recently, I noticed among my DNA cousins listed on Ancestry.com that a few had connections to Murphys in Sampson County, NC. Perhaps I may be able to figure some things out after all. Time to put those detective skills to work. Wishing you luck breaking down this brick wall for your 2d great-grandma. Maybe one of your DNA match cousins will have a clue for you. Happy 2017 and happy ancestor hunting. Thanks! I am currently looking at a couple of DNA connections that look very promising. Just have to find the time to devote to some more research. Wishing you a Happy New Year. Best of luck finding the answer to your mystery. You might be on the right trail with the DNA Murphy matches. Do you know anything about the family before the end of the Civil War? Could any of those records help point to specific Murphy families? Thanks for stopping by Linda. I know a little about the Murphy families in the area around where my Kerr/Murphy ancestors resided. Hoping to find some time to set aside to do some more research once the holidays settle down. Wishing you health and happiness in the New Year! So many corners to look in, so many papers of hope! Here's a New Year Wish for you - may you find 2nd great grandma, and many more leads that brighten your new year leading you down the golden path of finding even more family members! Happy New Year!! Thanks for your sweet comment. I am hopeful I will that I will be able to break this brick wall in 2017. Wishing you a happy and healthy New Year full of new ancestor discoveries.